For five generations and over one hundred years the Borthwick family have built a farming, wine and food legacy and now the current generation are continuing to grow that story. 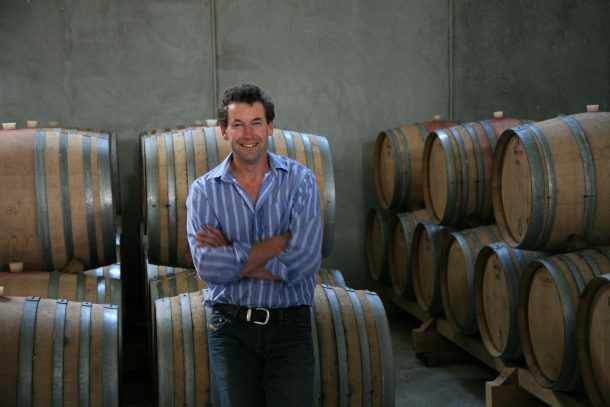 Family-owned Borthwick Vineyard perfectly captures the special region of Gladstone, New Zealand. Ancient stony, alluvial soils and cool climate allows the grapes to grow in harmony in their environment. Sustainable practices and minimal intervention in the vineyard and winery gives our wines their distinctive single vineyard characteristics and flavour. Established in 1996 adhering to the traditional values of winemaking, the 27 hectares of vines meld easily into a landscape that is exceedingly sought after, 25 kilometres north-east of Martinborough. The modern winery was completed in 2003 and built into the hill side allowing natural temperature control of the winery throughout the year. Built with a focus on production of Chardonnay, Pinot Noir and aromatic white varieties the winery encourages minimal handling of the wines during the year to allow the grapes to express their characteristics of the place they are grown in. The peaceful surroundings of the riverside vineyard are conducive to excellent grape growing conditions. The stony, free draining alluvial soils and special micro climate allow the grapes to grow in harmony in their environment, revelling in the serenity and uniqueness of their surroundings. Warm daily temperatures, cool nights and low rainfall enhance the exceptional quality of fruit produced every vintage harvest. The handcrafted and distinctive wines which include Chardonnay, Pinot Gris, Sauvignon Blanc, Riesling and Pinot Noir are produced and bottled exclusively from estate grown fruit and reflect the true characteristics from the region. In 1936, Paddy’s grandfather, PJ Borthwick, immigrated to New Zealand and purchased Te Whanga Station 100km’s to the north of Wellington in the Wairarapa district. Since then, Te Whanga has passed through three successive generations, and developed an enviable history over 75 years as one of New Zealand’s pre-eminent Angus cattle and sheep stations. Te Whanga is home to 700 Angus stud cattle and 10,000 sheep grazing on 1600 hectares of pristine farming country. Following in the footsteps of great-great grandfather Thomas, Paddy was looking for diversification to farming, and saw the Wairarapa having an ideal climate for growing super premium wine grapes. So in 1985 Paddy left Te Whanga in the capable hands of his family, and trained at the world renowned Roseworthy College in Australia as a viticulturist and winemaker, embarking on a career spanning five countries and three continents before settling back into the Wairarapa. 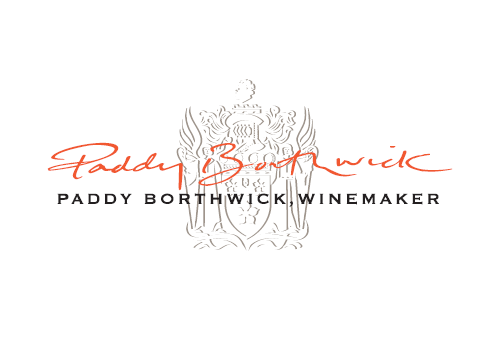 In 1996, Paddy and his father Robin began planning the 27-hectare Borthwick Vineyard and Winery. After 39 vintages, Paddy grows and makes wine instinctively, and has the confidence to take risks where others hedge their bets. An understanding of the vineyards capabilities from producing grapes from one site after 19 years has aided the intuitive decision making process. The rest of the team follow suite, and the wines made owe their distinctive flavour to the skill of the people within our place and a shared passion to create the best wine. The 2016 Chardonnay is produced from 1 hectare in our vineyard, planted as a selection of clones on rootstocks after detailed research and evaluation of neighbouring and existing Chardonnay planting material that suit the regions and our vineyards climate and soils. Grown at an altitude of 255 feet ASL and latitude of 41,02 degrees south and longitude 175,39 degrees East. Seasonal sunshine hours (September to April) of 1522 and Growing degree days of 1180 with an average annual rainfall of 528mm. A mean maximum growing season temperature of 16.7ºC and mean minimum temperature of 12.2 ºC. Cool springs and autumns plus hot summers with cool nights with summer temperatures peaking at 32ºC and night temperatures of 10 ºC. A semi-maritime climate influenced by the long coastline to the east and west and sheltered by the westerly Taurarua Ranges, exposed to blustery, devigorating winds, (predominantly North Westerlies) the vineyard experiences regulated flowering and crop levels while reducing vigour in the growing season and minimal disease pressures from reduced humidity in the canopies. The wonderful combination of pronounced diurnal differences and a long growing season confers intense varietal characters and complexity. Ideal winter/spring rainfall patterns and long dry autumns allows the grapes to ripen slowly and evenly at the end of the season culminating in retention of acidity and flavours and perfect conditions for cool climate Chardonnay. Predominant soils are wind-blown Tauherenikau silt loams that have filtered down amongst the ancient river bed of the Ruamahunga river that flows around the outside of our vineyard. Rich in nutrients, free-draining with an even consistency of soil profile (up to 15 metres) allowing the vines to have deep root development and penetration. Produced from 5 clones, (95, 548, 1066, 2/23, 809) the grapes are trained using VSP and yields are constantly monitored throughout the growing season to maintain a harmoniously balanced plant for the current and ensuring years. Early exposure of the grapes to the sun is achieved using sheep from the family farm to pluck the leaves from around the bunches after set and allows an open canopy and reduces any disease pressure and minimises sprays in the later parts of the season. The vineyard and winery is part of the NZ Winegrowers sustainable programme with emphasis on preservation of the soils and efficient and long term viable practices in the winery. The winery and vineyard is audited every 3 years to ensure the parameters set out for sustainable practices are met. Budburst, early September. Verasion February. Harvest Late March through to April. All the Chardonnay is picked and pressed together and picking is based solely on flavours in the vineyard and aided by acid to sugar ratios. The grapes are pressed into tank with minimal additions and allowed to settle. Cloudy juice is transferred to barrels and allow to ferment utilising the natural yeasts from the vineyard with a high percentage of solids from the pressed juice. Mostly fermented in 500 l French oak puncheons (typically 20% new and balance a mix of 1 to 4 year old oak) the wines are fermented warm and can achieve 28 degrees in ferment. Adding lies back from the previous vintage in the ferment adds additional texture and solids to the wines. The wines are inoculated for MLF post ferment, topped and left until spring. Tasting the wines weekly as the MLF commences in spring to determine the acid level and flavour profile and when the balance is suitable the wines are sulphured, topped and left to rest until we rack to tank for bottling. Typically we bottle the wine in January, 10 months after picking to retain the fruit flavours and allow the wine to develop in the bottle. The aim is to produce a Chardonnay that reflects the soils and climate of the Gladstone region and more so our vineyards practices. We aim to produce a Chardonnay that has creamy texture, clean acidity and cool climate fruit flavours, that will develop richness and complexities as the wine ages in the bottle.